DANIEL YOUNG HAS WON MANY TITLES WITH HIS NEW ALBUM "I'M NOT ANY OTHER MAN". DANIEL IS A FOUR AWARD WINNER OF THE LOCAL TALENT ASSOCIATION OF GEORGIA TAKING HOME: BEST MALE COUNTRY VOCAL, BEST MALE ROCK & ROLL VOCAL, BEST COUNTRY ENTERTAINER AND BEST ROCK ENTERTAINER. HE HAD SEVEN SONGS FROM THIS CD TO HIT IN THE TOP THIRTY SONG LIST FROM METRO ATLANTA COUNTRY MUSIC CLUB'S NOVEMBER 2000 HOT ATLANTA PEOPLE AND MUSIC TOP COUNTRY CHARTS. TWO OF THE SONGS BEAT OUT ALAN JACKSON!! DANIEL PLACED SECOND IN THE TOP FIVE LOCAL COUNTRY ACTS. 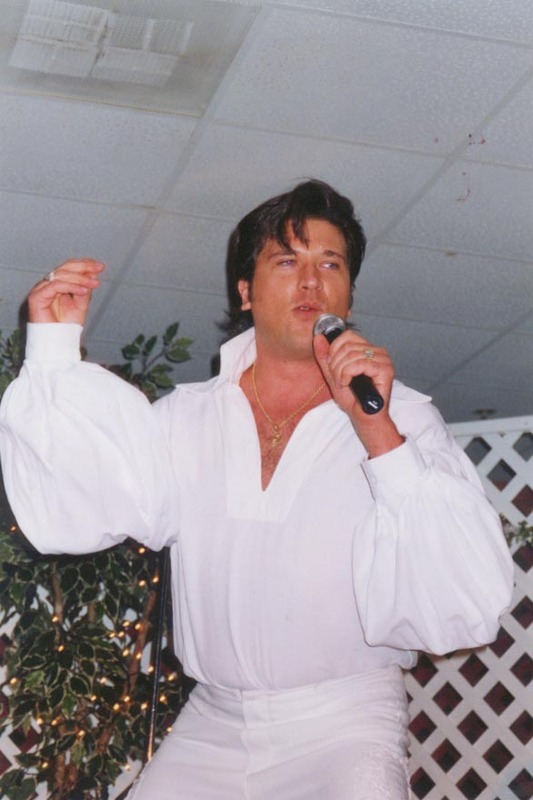 "LOCAL ARTIST DANIEL YOUNG, WHO WAS NAMED ENTERTAINER OF THE YEAR BY THE L.T.A. OF GEORGIA, SHATTERS MACMC CHART RECORDS BY PRODUCING SEVEN SONGS ON THE TOP COUNTRY CHART. HIS THREE APPEARANCES IN THE TOP TEN TIE AN MACMC CHART RECORD HELD BY GARTH BROOKS AND ALISON KRAUSS, AND THE SEVEN OVERALL BY FAR BREAKS PREVIOUS RECORDS." HE IS A WONDERFUL ENTERTAINER AND SONG WRITER. YOU WILL SEE IN THE LINKS JUST WHAT DANIEL IS ALL ABOUT! HIS GOD-GIVEN TALENTS SHINES THROUGH AND I KNOW HE WILL BE THE TOP ENTERTAINER REALLY SOON. AND OF COURSE, HE IS A WONDERFUL, CARING PERSON. UPDATE: The internet radio station MACMC where DANIEL has seen such high chart ratings in recent months presented DANIEL with an award for the Most Charted Songs (Eight) for the year 2000! The president, Don Adkisson, congratulated him on his success and stated that since George Strait and Alan Jackson each had only six songs charted in one year they now move to the number 2 position behind DANIEL!! GO DANIEL!! CONGRATULATIONS!! !